Good Stuff NW: Olives Again? 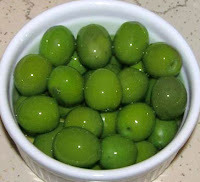 Have you tried Lucques olives? Sooo buttery, sooo yummy! I think I have, but it was awhile ago. Now I've got a reason to seek them out again. Thanks for the suggestion!